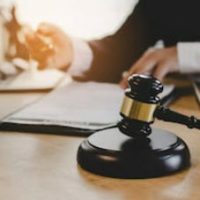 Before a claimant has the opportunity to get their due compensation, they must adhere to Florida’s lien law requirements. There are certain requirements that can invalidate the claim if not strictly followed. Claimants must ensure that they are aware of these requirements to ensure a successful outcome. All mechanic’s liens claimants must file a notice to the owners of the property. Florida lien law provides certain deadlines for making this notice depending on the claimant’s role in the construction. All claimants must provide notice to the owner no later than 90 days from the last day labor or supplies were delivered. In turn, within 10 days of the request, a general contractor must furnish a list of all subcontractors and suppliers who worked on the project. Failure to furnish a list of subs and suppliers will result in possible legal penalty and forfeiture of a challenge to the lien. Missing the deadline to file a mechanic’s lien is detrimental to one’s claim. This is because the lien method is a faster way of asserting some kind of obligation against a contractor or owner. The traditional claim process can be quite daunting. The alternative to a lien process is to file a contractual dispute in court. The lien process was designed to keep such disputes out of court and provide a speedy process to recover. However, missing the 90-day deadline renders the lien avenue closed. The alternative process, which is a formal lawsuit, can be quite costly. In addition, the timeline for a formal lawsuit (e.g., breach of contract) is longer than the timeline for the specialized lien process. Sweeney Law, P.A. is a construction law firm with years of experience advising professionals in the construction field including handling mechanic’s lien claims. Florida construction attorney Sweeney is here to guide you through any legal pitfalls that can arise during and after your project. Contact us now for a consultation.